Why ride? Click for our new videos. Here's why I think it's really important for us to make the streets safe so that [everyone is] encouraged to have the same kinds of fun experiences that I've been able to have. "It's always a good time, it's a great group of people, and it's a worthy cause." 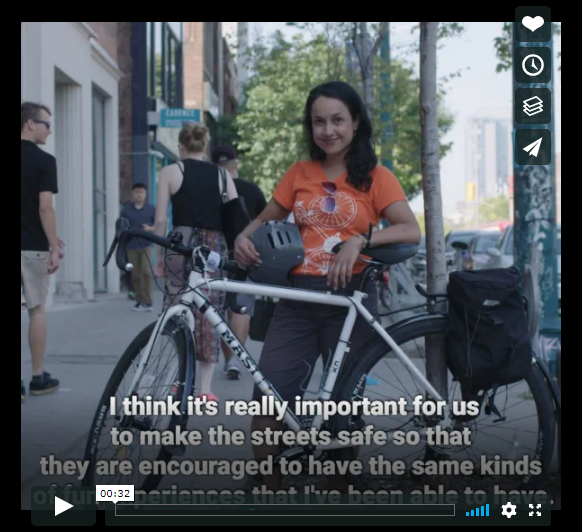 We’re raising money to support our #BuildTheGrid election campaign which demands action from our elected officials for a safe, connected cycling network across the city. With 68 people killed on our streets in 2017, not enough is being done. This is your chance to push for much-needed change this election year. 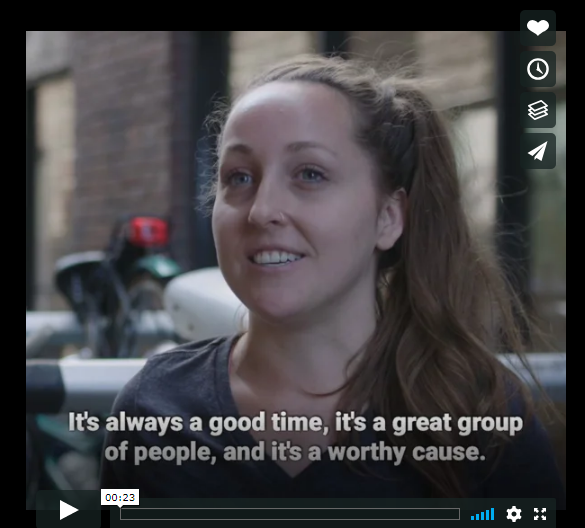 Registration starts at $40, which includes a family-friendly escorted group ride (10km and 25km options) and lunch at Christie Pits following the ride. Deepen your impact: creating a user account and a personal campaign page to fundraise for your ride. You can also start a team to help spread the word! We are thrilled to offer a $500 VIA Rail gift card as our top fundraising reward and gift cards to local bike shops Curbside Cycle and Sweet Pete's as our milestone prizes. With scenic 10km and 25km options, a relaxed pace, and post-ride reception, join in for the best group ride of the year! Invite your friends, family, and colleagues and make it a group outing. There is still time to fundraise or donate to the ride! Get all the the details about this year's ride.